Charm bracelets rise to a new level with this magnificent piece from Aaron Basha. 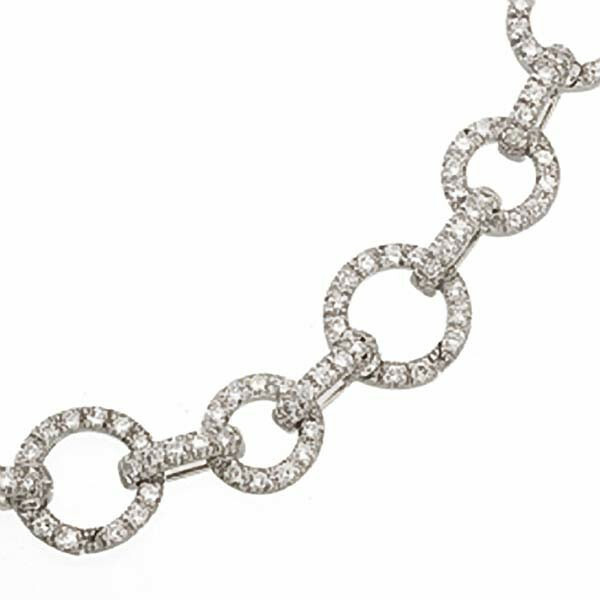 Circles in two sizes are crafted from 18kt white gold and enriched with fabulous white diamonds on every link. The larger circles open to allow amazing Aaron Basha charms to dangle elegantly from this bracelet. The sparkly touch of this timeless classic will showcase your treasures beautifully!